Back Door to Asylum is a Russian band founded in 2007 that plays Technical Brutal Death Metal. Having as lyrical themes such as mental Illness, murder, serial killers and being inspired by bands like Cryptopsy, Origin, Dying Fetus, Nile, Suicide Silence, I believe that this all sound like something a Death Metal listener would enjoy. I’ve been interested in the Russian Metal scene for a long time, trading albums that I couldn’t find to purchase with friends and, fortunately, nowadays, it’s pretty much easy to find places that sell such releases. Usually my favorite albums/ bands from Russia play Black, Folk and Pagan Metal, but it’s a well-known fact that the scene over there is diverse and strong. Well, let me tell you already, this Moscow band plays very impressive brutal music, in my humble opinion, of course. Everything here is so well-done that I don’t think anyone that enjoys the genre wouldn’t like “Cerberus Millenia”. The music is chaotic, in a good way, fast, energetic and fierce. The gruesome vocals are great, from deep growls to shrieks, feeling very diverse. The drumming is freaking insane! 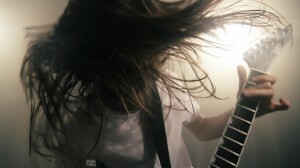 The riffs are completely over the top, they just drive you crazy. This is a brutal and technical death metal release, but there are still some melodic parts and not all that “breaking”, featuring many time changes. The musicianship is also to be praised, as a band, they are really tight. Sound quality is excellent. The only “negative” aspect I see on this release is that “Cerberus Millenia” is very short, clocking just a bit less than twenty eight minutes. But, all in all, “Cerberus Millenia” is straightforward technical death that will bleed your ears. So, as I always ask, please, do what you are able to in order to support and help the band!